If you have a renovation project on the horizon, or just want to spruce up a room with new flooring, you are in luck! 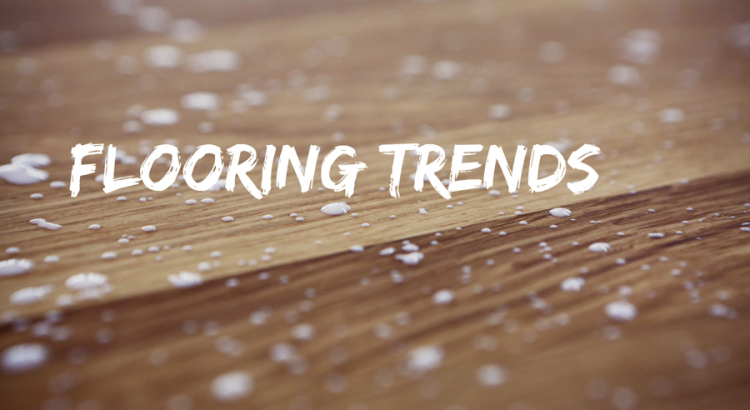 Now is an exciting time to be exploring flooring options. There are lots of new beautiful trends on the market to choose from. Big Tiles – Tiles are a classic favourite because of their durability and the range of colours, materials, and patterns that are available. However, just because they have been strong choices for decades does not mean that there isn’t anything new going on with tiles. Larger than usual tiles are shaping up to be a great new trend in 2015.Going far beyond 12 by 12 inches, large tiles can really make a bold statement. They sometimes require a little more initial work to install, since the substrate needs to be accurately level. However, that extra effort pays off. They look great, and less grout means that they are easier to keep clean. Modern Vinyl – This is not your grandfather’s vinyl. Modern technological improvements to the manufacturing process of vinyl flooring means that it will be a trend to watch. Contemporary high-quality vinyl can have beautiful patterns as well as high durability. For example, there are vinyl patterns that can look just like wood. Casual Carpets – Area rugs and carpets with a little wear and tear are definitely in. Distressed and striated textures can make a room feel more lived in and relaxed. As a carpet like this accumulates more wear from daily use, it will just improve its uniqueness. As an added bonus, these carpet textures with complex patterns can hide spills and messes better than pristine and solid colours. Whether you are updating a cool studio apartment or a big house full of rambunctious children, distressed carpets are a great choice. Weathered Wood – Incorporating a little bit of distress is not only for carpets. Hardwood flooring with a hand-hewn look and some weathering looks great. You can achieve this with either genuine reclaimed wood or with factory finished boards designed with this aesthetic. Traditionally, wood provides warm colours for a room, but there are now lots of grey hardwood and laminate options for a cooler colour palette. Grey wood with a weathered texture is a great combination – It is simultaneously rustic and sophisticated. Nature-Inspired Carpets – Another carpeting trend is to incorporate elements of nature. This can be in the form of visual patterns that evoke nature, or actual natural fibres. Sisal, jute, hemp, and wool are all excellent natural carpet materials to choose from. These carpet materials are great for the environmentally conscious homeowner because they can be renewably sourced and even organically grown. There are so many excellent flooring trends on the horizon for 2017 that you will have no trouble finding a flooring option that will look and function fantastically.